+The Girls on the Run season is officially over, and I must say I'm relieved that I don't have to stay after school anymore. It was a good experience and I'm glad I got to know some of the other teachers/coaches better since I'm new to the school. And I got to establish positive relationships with 3rd, 4th, and 5th grade girls. My only real issue with the whole thing is the cost. Coaches are volunteers. It's a non-profit organization, which is great, but it's $150 per girl for a 10-12 week season. For schools with a free and reduced lunch count between 30-60%, it's $75 a girl. For schools with a free and reduced lunch count above 60%, it's $10 a girl. The cost pays for shirts, race registrations, materials, etc. If your school can get a sponsor, the cost goes way down. Almost everything else is sponsored by businesses, national and local, though. It's just one of those things...one of those things where you'll only get a certain subset of the population joining the teams, so the girls who need the coaching and guidance in life (and in running) won't always be able to join. While several of the girls I worked with were super sweet and gained a lot from the program, they didn't necessarily need the coaches to be positive role models in their lives because they had moms and dads who were willing to pay $75 for Girls on the Run in the first place. Make sense? I still believe in the program and will probably coach again in the future. +I saw this on Facebook and had to click. 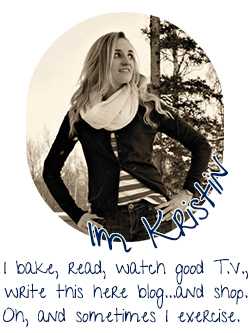 50 Reasons Why You the Military Wife Deserve a Standing Ovation. #20, #21, #39, #40 especially, and then #50. However, a lot of them are cliched and the same old, same old. And I think "wife" should be changed to "spouse" in the title because there's just as many husbands out there sacrificing. But really, #40: The only way through is through. I've gotten to be really good at this. 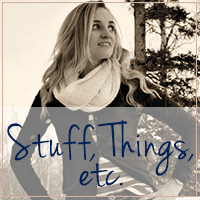 +It did lead me to another post: 6 Things to Say that Won't Encourage Military Wives. All of those are VERY true and I really get #1: The only time I'll ask for help is when I'm desperate. Otherwise, I (like many others) just hunker down and deal with the inconveniences. 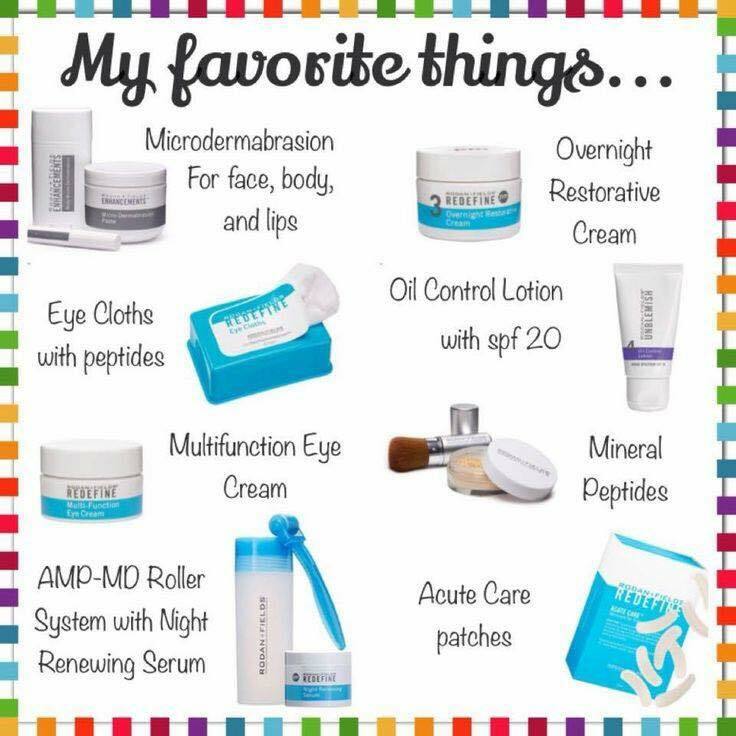 +Concerning Rodan and Fields...it would make a great Christmas gift! For you, a family member, a friend...I will say that I'm sending a few products as gifts this year (and I did buy them myself) just because they are life-changing and I'd love to give someone the opportunity to try them out. If you're not into a full regimen, there's several mini-regimens you can put together. Mixing and matching is always an option! And each of these sets would last more than 60 days. The microdermabrasion paste, honestly, lasted me an entire YEAR, using it 2-4 times a week. And, also, my friend posted this on Facebook a few days ago and it's SO true. I often shy away from trying to "sell" the product and usually just wait for others to come to me with interest. The reason why is because many people see it as expensive. 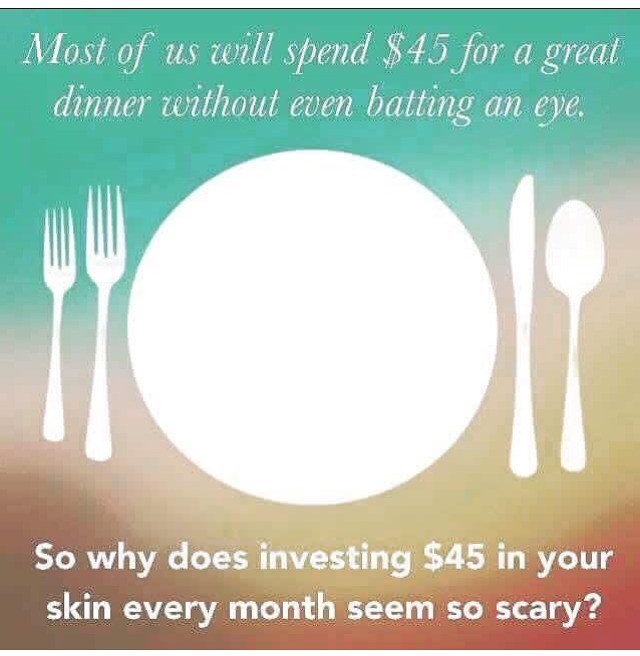 I saw it as expensive (um, still do sometimes), but good skin is priceless and sometimes a graphic like this will put it into perspective. 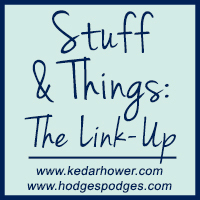 Any stuff or things to share? That always seems to be the way with extra curricular activities. It's darn near impossible to offer anything completely free, especially since funding is so hard to secure for recreation programs, and because of that kids who REALLY need a safe place to spend time, full of positive role models miss out. My sister has her GOTR race this weekend and I've been a buddy before and it's so much fun. I wish it wasn't so expensive, I understand they are a business, but it's crazy how much it costs to get girls into running. If you really believe in a product - which you do - it's a good fit to sell. Is it pricier than what a lot of people use? Yes. 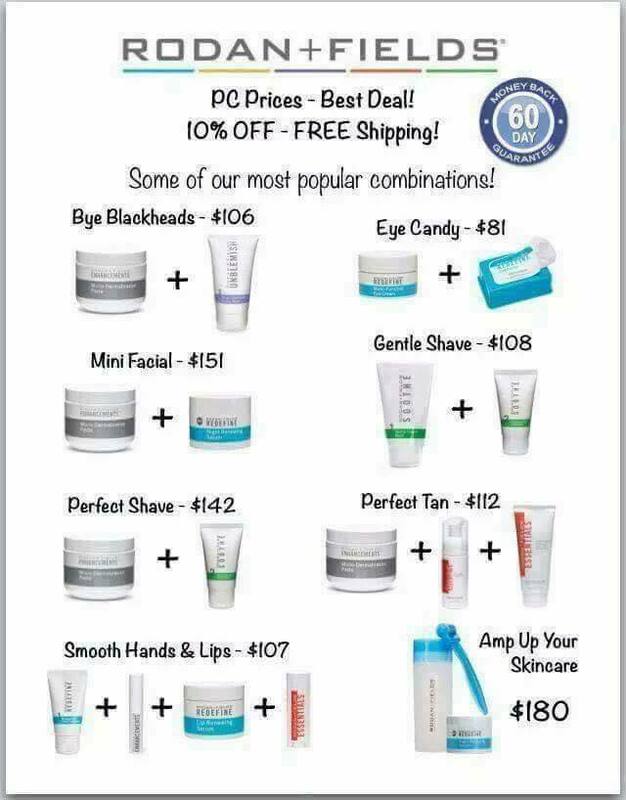 But you can't put a dollar figure on good skin. I'm sad that program is so much per girl...I think you're right, that the ones who really need it are pricing out right up front. Wow that is really expensive per girl! I really want my daughter to do Girls on the Run (she can't because of cheer but maybe if her practice schedule changes next year) but it makes me sad that so many people are getting priced out of it, particularly the girls who probably need it the most. I do like the idea of sponsorship. I wonder if you can just sponsor one kid? I completely agree with you regarding the cost of skincare. To me, that is the core of feeling/looking good. You can buy expensive makeup but if your skin looks like crap underneath it then it's not worth it. GOTR is so popular, I didn't realize it costs like that! I'm also shocked it costs so much! I'm sure some parents see the cost and think, running is free :/ You know? And I agree with the "only way through is through." I was telling my husband something similar the other day. I completely agree that for the most part military wives are very self sustainable and we just learn to deal with what we've been given. Also, I sometimes think it's silly what people will spend their money on. 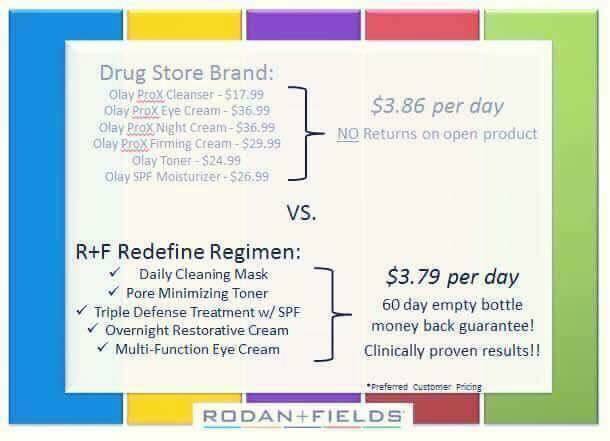 Skincare is so important yet it ends up as a last priority for so many. How to concentrate on my studies? I completely agree about the Girls on the Run subscription cost. I hope they can find a way to make that work because it sounds like a great program. Also thanks for the education re: being a military wife. I have absolutely no idea about this stuff so hopefully this will stop me putting my foot in it in future.